DWG Miner DLL is a powerful ActiveX component for quickly extracting data from AutoCAD drawing (DWG) files. DWG Miner DLL is a powerful ActiveX component for quickly extracting data from AutoCAD drawing (DWG) files. 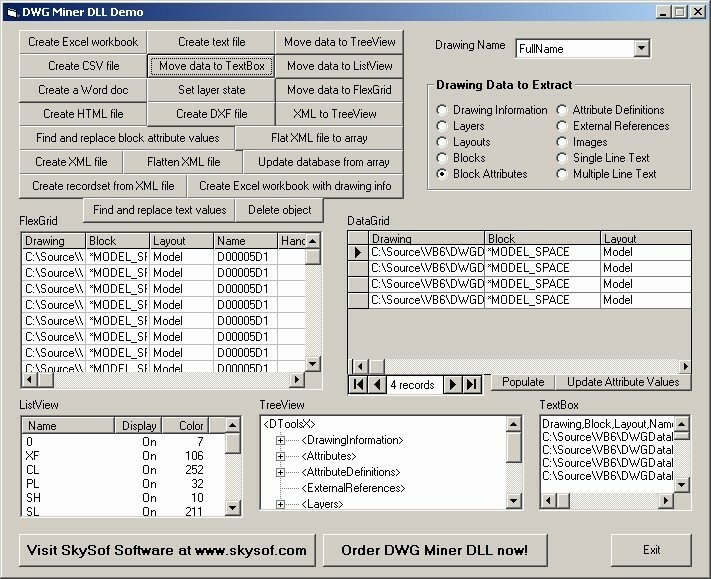 DWG Miner DLL contains many functions for updating block attribute values, setting external reference file paths, setting image file paths, creating XML files from drawing data, creating DXF files from drawings, creating Excel workbooks from drawing data, etc. AutoCAD is not required to use this product.